W e started Redline Rafting with one purpose in mind… FUN! Focusing on passengers’ desires allowed us to create a thrilling ride on the water with the friendliness of a backyard barbeque. 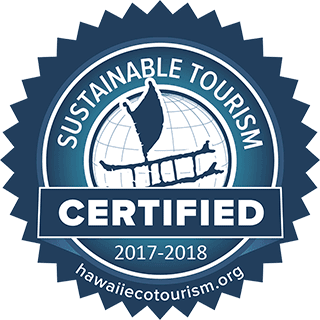 We strive to exceed every customer’s expectations whether it’s with our personally guided, ecologically friendly reef tours or the fascinating facts you learn about Hawaii’s history. Redline Rafting is owner operated; this means your experience is based off of the feedback we’ve personally heard from passengers. Feel free to visit our Trip Advisor or Facebook page to see what real travelers like yourself thought of our tours. 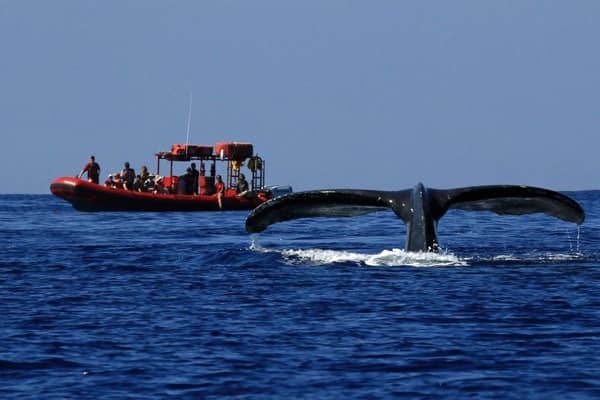 Come find out why so many have called Redline Rafting Maui’s best adventure cruise. 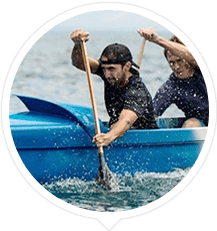 Sean trains and competes with Hawaiian Canoe Club outrigger team. Kiki spent a year working and exploring the Great Barrier reef in Australia. 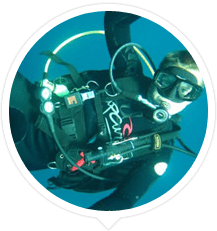 Seth worked in Ban Kaho Lak, Thailand as a dive instructor. 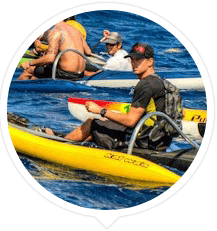 Andy has paddled a canoe between all 8 major Hawaiian Islands. 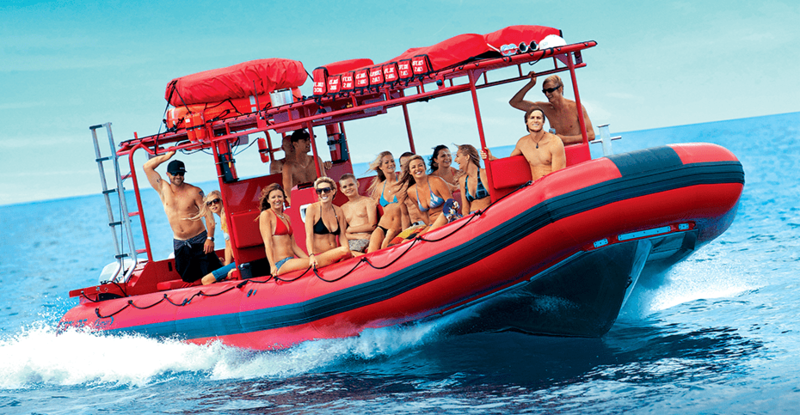 You may be asking yourself why choose Redline over the many other tour boats in Maui. The number 1 reason is our boats. The Redline I and Redline II give us the ability to reach destinations others only wish. Check out La Perouse bay where the spinner dolphins hang out, snorkel the 200ft deep backwall of molokini and spend our time looking at marine life instead of searching for it. Attach that with our 5 star customer service and you have a recipe for an amazing day on the water. W e care about our community, our island, the ocean and the Hawaiian culture. We are working hard to improve how we operate. Check out how we are trying to be more sustainable; reducing our environmental impact, improving staff management, increasing our interpretive skills and caring for our guests better while doing expanding our outreach to raise awareness of important issues in those areas.